Who could stay in Victorian Workhouses? When was the last workhouse closed? 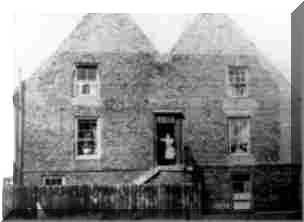 The oldest workhouse can be traced back to 1652 though there are records which suggest that such workhouses existed even before that. The Poor Law of 1601 in England began the concept of the state providing relief to the poor and placed a legal responsibility on every parish to take care of the poor that fell within its territory. The Poor Law also suggested building of houses for those who were elderly or terminally sick. In the 17th century, the system of workhouses slowly developed. There were Acts like the Workhouses Test Act of 1723, the Gilberts Act of 1782 and the Poor Law Amendment Act of 1834 which were brought into force to regularize and systematize the workhouses. The workhouses had captured the imagination of the Victorian writers who termed this place as papuer palaces. The Consolidated General Order monitored the workhouse functioning in terms of diet, dress, education, discipline, etc. The routine of the workhouse inmate was designed in such a manner that it was harsh and degrading. The reason behind this was to only enable those people to stay in the workhouse who are genuinely poor and have no place to stay nor have any job for a living. In the workhouse men, women and children were kept in separate quarters. Such an arrangement was devastating for those children who were living in the workhouse with their parents. The inmates were given a uniform which they had to wear during their stay at the workhouse. There were certain punishments set out by the Poor Law Commission for breaking the rules of the papur house. The inmates were not permitted to talk to one another to maintain the discipline of the house. The workhouses had a staff consisting of a Master, a Matron, Chaplain, Medical Officer, School teacher and a porter. The workhouses provided education to the children hoping that at least some of them will not return back to the pauper house as education will help them to fetch for some job. These children were made to work in factories and mines without their parents knowledge. The working schedule in the pauper house kept the inmates busy throughout the day. The work included grinding animal bones, cooking, cleaning, vegatable cleaning, tailoring and many other things which were boring and hard for the people living there. The food in workhouses used to be of the same taste and was insufficient to fill up the stomach. Officially, workhouses were closed in 1930. However, most inmates released from there had no place to live and were not expected to adjust to the realities of outside world. Hence the workhouses continued under different names well into the second half of the 20th century.